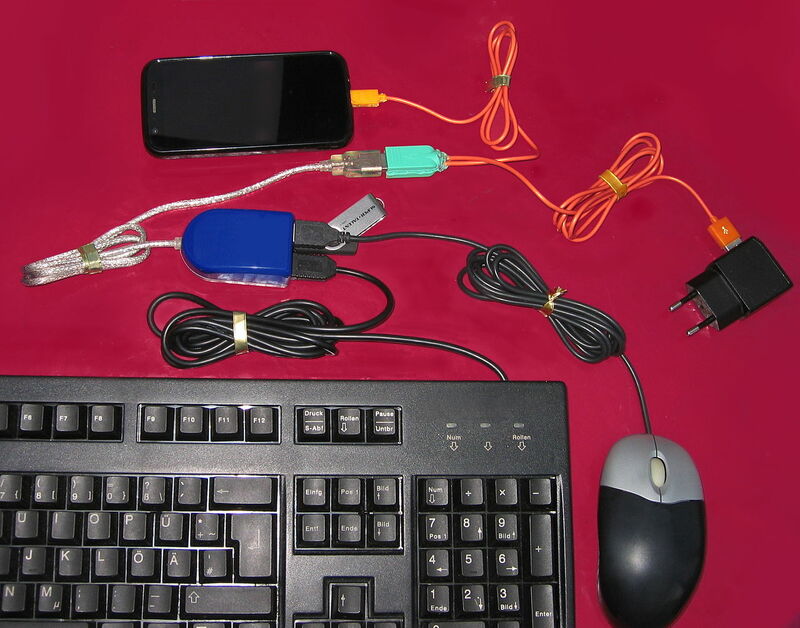 For reference, you’re going to want to read the Wiki on USB-OTG. 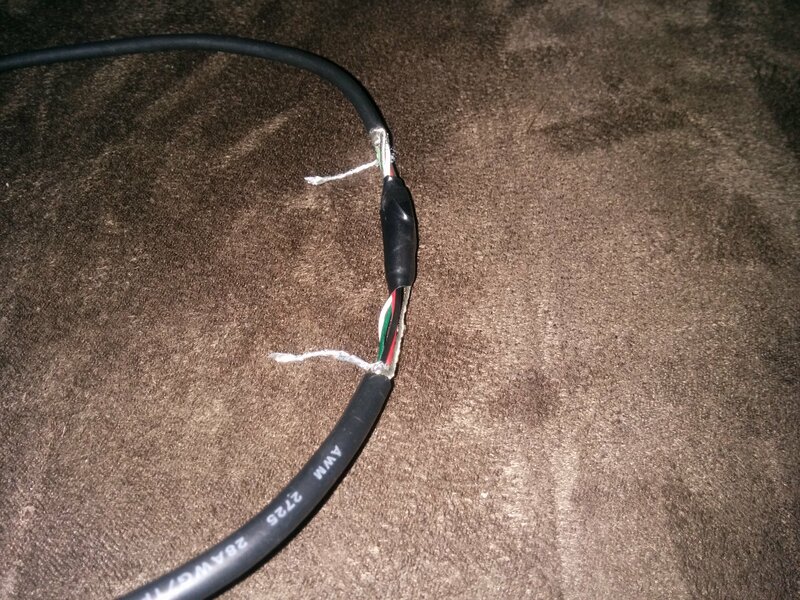 But I’m starting with a simple 1 to 1 cable just as a sanity check before I go and route anything weird like the Chromecast through it. 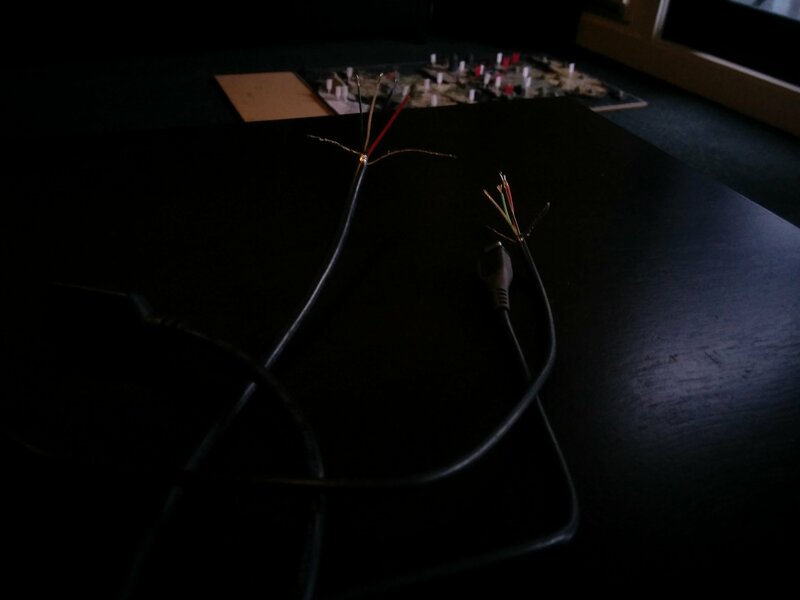 I’ve done that thing where I start cutting up cables before I took a photo, so here’s a pic of similar cables before being cut. 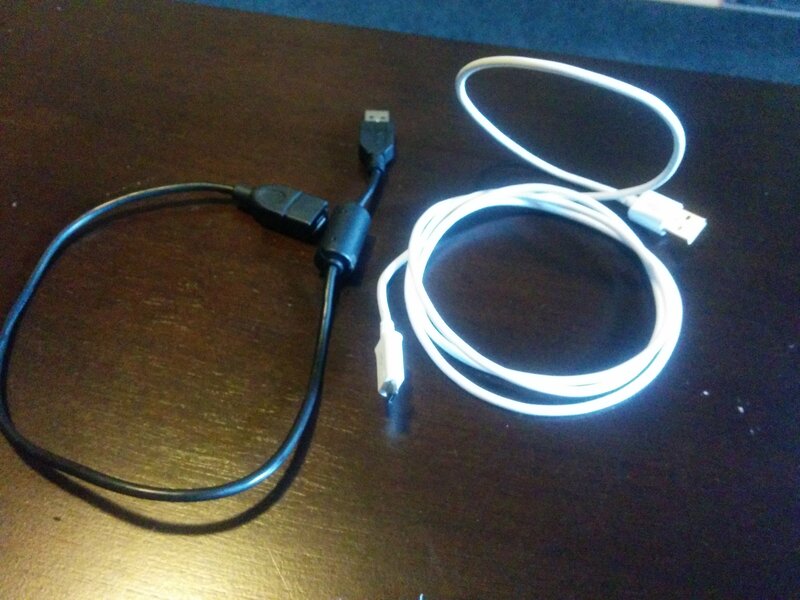 1 normal usb extension cable and an Android charger cable. Ok, so I butchered the hell out of that, wrapped it in tape then off to my Nexus 5. Since I know my phone can do USB OTG stuff, I download the Stickmount app and plug it all in along with a USB drive….and…it didn’t work. Well let’s see why not. Basically, the micro usb cables for this kind of thing actually tell the devices what they’re supposed to be doing. Are you in control? or is something controlling you? Turns out I need to take my nokia cable there and ground pin 5 (the ID pin that does this assigning). I grabbed a stanley and started carving away the plastic end of my nokia cable and, low and behold, there’s a pin that’s not wired into anything. I got lucky enough to miss all the other wires while whittling it down and didn’t stab myself, but be careful for both those reasons. 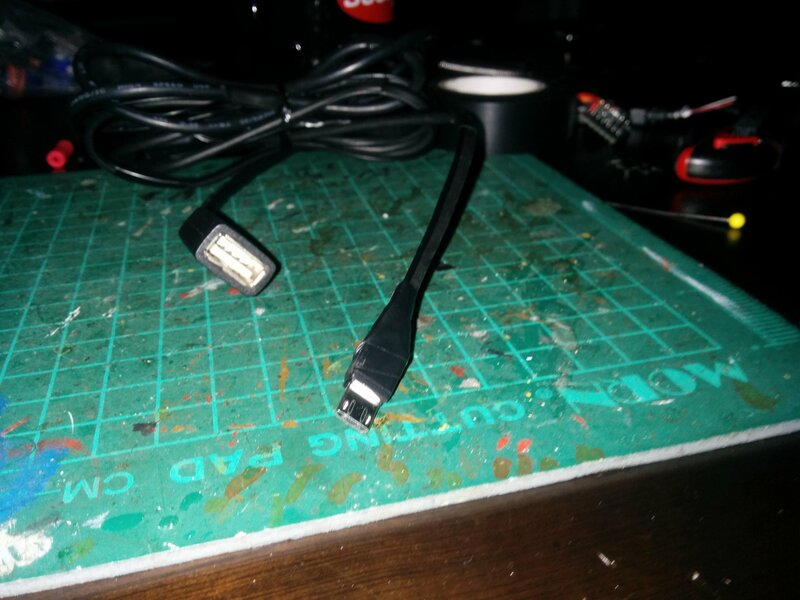 I soldered a wire from the floating pin 5 directly to the ground and gave it a shot with the USB key again. YAY! Success. The phone now detects the USB key and mounts it as another drive. I plugged in a full size keyboard and this worked too. So this cable will let you plug in peripherals for the phone to mount and use. Not sure how it would handle something more complex, like a USB to ethernet adaptor, or multiple devices due to the power consumption issue. A powered USB hub should help the power side. Unfortunately, I’m out of USB to ethernet adaptors so I can’t test that now.